I chatted with Claire Ashley, the OXO Coffee & Tea team’s Category Director, to learn more about the design process of the OXO Brew 9-Cup Coffee Maker, OXO’s automatic coffee maker. Erin: Coffee is such a simple pleasure, but there is an art and a science to brewing it. How is the 9-Cup Coffee Maker able to bring that coffee shop craft into the kitchen? Claire: It replicates what a barista does at your favorite coffee shop: the machine pours water over the grinds then pauses to let it bloom. Once the blooming cycle is over, it pours water over the grinds again and pauses in short intervals, continuing to replicate what a barista does. With the automated brewing cycle, we control the brew time and brew temperature (the two most important factors in brewing great coffee) all while replicating the barista’s hands-on brewing style. Even if you are half-awake, you really can’t mess this one up. There’s only one button to push. Once you’ve started the cycle, the machine takes over. Erin: What elements did you want to include in the design? Claire: If you watch baristas, they pour water in circular motions so all the coffee in the filter comes into contact with the water for the same amount of time (for even extraction). If you were pouring water in a steady stream only in the center, that coffee would be over-extracted (bitter) whereas the coffee on the outside of the filter would still be under-extracted. Good coffee is balanced coffee, where all the coffee is extracted for the same amount of time. Our shower head device, known as the Rainmaker—pretty great name, right?—ensures that all the coffee gets wet uniformly. Erin: Are there other types of devices that inspired you as you were looking into the design? Claire: It’s probably cliche, but the one-button interaction was somewhat inspired by today’s smart phones. We went with a slim, stainless steel design to match most modern kitchens. We wanted it to sit on your countertop all the time (as coffee makers do) and look discreet and elegant. Erin: Volume is definitely something that most people struggle with when brewing at home, since most automatic-drip brewers are designed to make a specific amount of coffee — typically more than the average individual wants to drink, 5 or 6 or even 9 cups. The Barista Brain can brew much smaller batches, even down to just two cups, which in my opinion is the perfect amount. How does this brewer maintain such an even extraction regardless of how much you’re brewing? Claire: When brewing a smaller amount of coffee, it’s important to slowly pour the water over the coffee so it has some time to extract all the good flavors. Water needs to be in contact with coffee for at least 4 minutes to achieve a good extraction, so you don’t want the water to flow right on through all at once. This translates into a slower brewing cycle, which means our machine takes more breaks for smaller amounts. Erin: When you’re buying coffee to brew at home, what kinds of coffees do you look for? Claire: I look for fruit notes. I enjoy pretty much all of the Intelligentsia single origin coffees (recently, I’ve been using beans from Santuario, Columbia). I also really like the Kabeya coffee from Counter Culture. I really do think our machine allows you to experience the subtleties from roast to roast very easily. Erin Meister is a freelance writer for OXO. She is a specialty-coffee professional with 15-plus years as a barista, café manager, wholesale account representative, speaker, and educator; she currently sells green coffee for the Minneapolis-based importing company Café Imports. You can also hear her on weekly episodes of "Opposites Extract: A Debate Podcast about Coffee," available on iTunes. 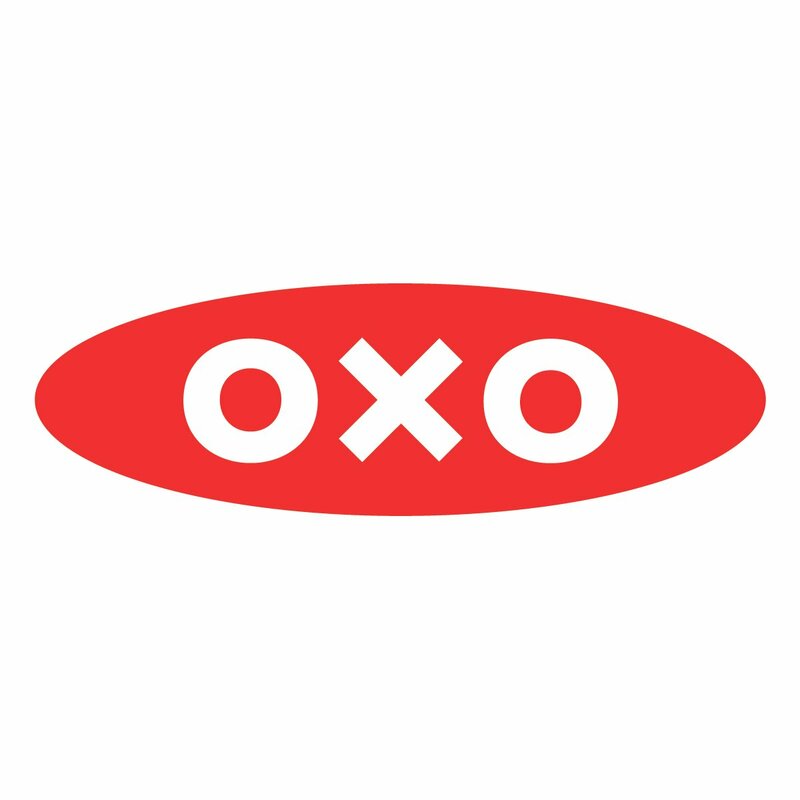 I’m looking into the oxo barista brain coffee maker. The model seems to have been made in 2016, is that correct? I’m wondering if there is a newer model to be coming down the pipeline soon. Could I ask what the difference is between the older OXO Barista Brain and the new OXO 9-Cup Coffee Maker? Are there improvements? Hi Ben – The Barista Brain and the 9-Cup Coffee Maker are exactly the same. We just updated the name! Thank you. I struggle to find someone in Canada who sells it. Can I ask who the retailers are? Our Canadian distributor will be able to help! You can reach out to them at [email protected] or +514 694 9111. I just unpacked my new OXO Barista Brain 9 cup coffee maker. When I went to pour the first cup, coffee dripped all over the place. Is this normal? Hi Debbie – If you reach out to Consumer Care, they’d be happy to troubleshoot with you. They can be reached at 800.545.4411, Monday-Friday, 8am-6pm. The 9 cup Barista Brain would be perfect for small batches if it would allow me to brew directly into my stainless steel thermal travel mug. Is there a way to trick the coffee maker to brew this way? I’d prefer to NOT brew into the large carafe when I brew a 16oz cup because when I do the carafe absorbs way to much heat from the coffee leaving me with a less than pleasantly hot cup. Sure, I can preheat the carafe but that is a waste of energy, water, and precious time. Any hints to get the coffee directly brewed into my cup? I really want to keep the coffee maker but having to brew into this large heat sink is a deal breaker for sure. Unfortunately it’s not possible to brew into anything other than the carafe. For smaller batches of coffee, we might recommend the Pour-Over method or a French Press.